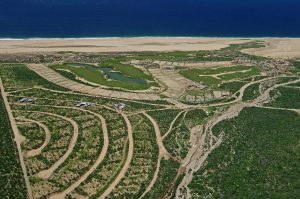 Real Estate Developments in Los Cabos. Welcome to paradise! 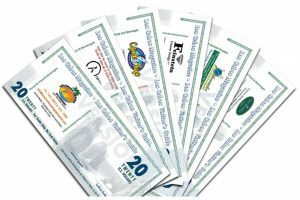 Los Cabos has become a favored location worldwide not just for vacation, but for lifestyle investment. Here you’ll find Los Cabos real estate developments and projects geared for every circumstance, from retirement and vacation living to investment opportunities reaping rich reward. From the serene communities stretching along the Pacific Ocean to the enclaves of the East Cape, including the vibrant communities of Cabo San Lucas and the sophisticated San Jose del Cabo there are master planned communities designed to please every palate. 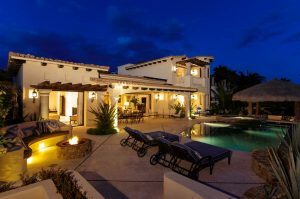 A relatively young area, Los Cabos in Baja California Sur, Mexico offers fully planned communities with all services in place and a wide range of amenities in all price ranges. Professional developers here know they are not building just a home, but a community. Whether you’re drawn to Los Cabos by the golf, fishing, yachting, nightlife or just the gorgeous weather, there is a community to be found that will fulfill your dreams. Cabo San Lucas is home to some of the world’s best planned communities. Whether you’re looking for a simple condominium or a palatial manor there is a community being built to suit your needs. 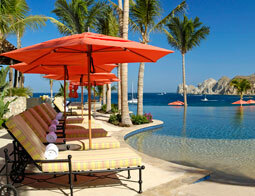 Most new Cabo developments offer a dazzling array of amenities; from private golf courses to simple community pools. Virtually all new projects offer 24 hour security and professional management so your vacation home can be worry-free when you’re not in residence. Photo on right is from Hacienda Beach Club and Residences. Work is continuing. They aren’t selling yet, as it would not be up to Four Seasons standards to have construction going on. 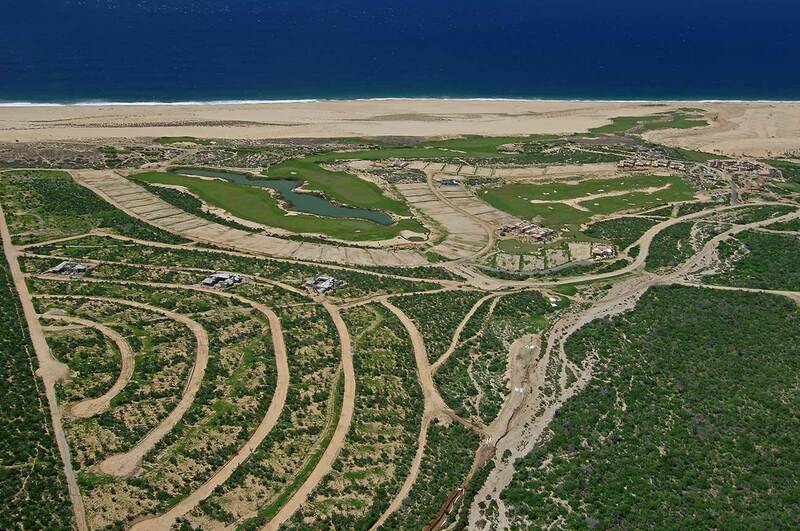 Pacific Coastline Real Estate Projects and Developments in Los Cabos. 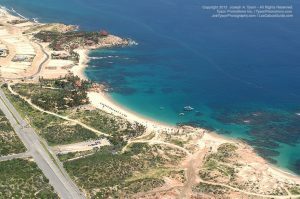 North of Cabo San Lucas along the Pacific Ocean, there is a sprawling area real estate agents have given the accurate, if uninspired, name Pacific Side. This neighborhood stretches all the way to the nearby community of Todos Santos, about an hour’s drive north of Cabo San Lucas. Here the pace of life is peaceful, and the living is easy. Much of the land is agricultural, and in many cases you’ll be living off the grid: using well water and solar energy. 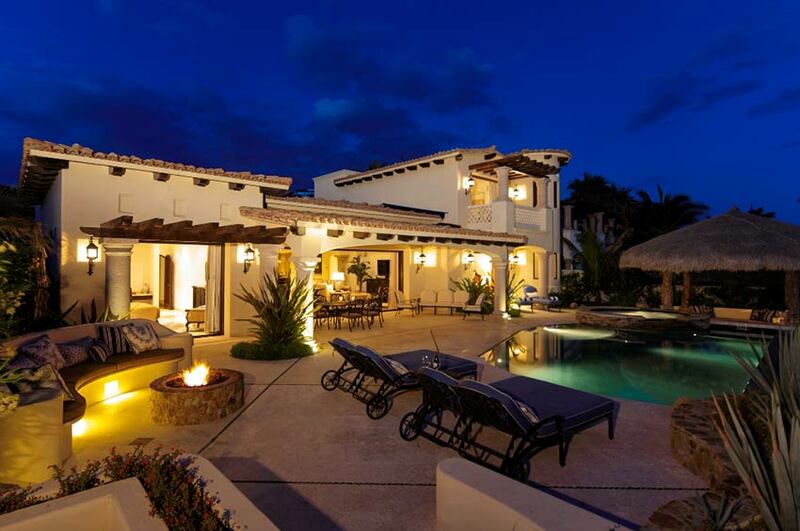 San Jose del Cabo Real Estate Developments and Projects in Los Cabos. 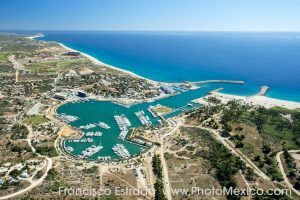 The variety of new developments and real estate projects in and near San Jose del Cabo is astounding; everything from affordable condominiums to elegant estates all scattered along the delightful shores of the Sea of Cortez. Once known as the ‘little sister’ community of Los Cabos, San Jose has grown into the sophisticated city we know today with all the features and amenities of a true world-class resort community. 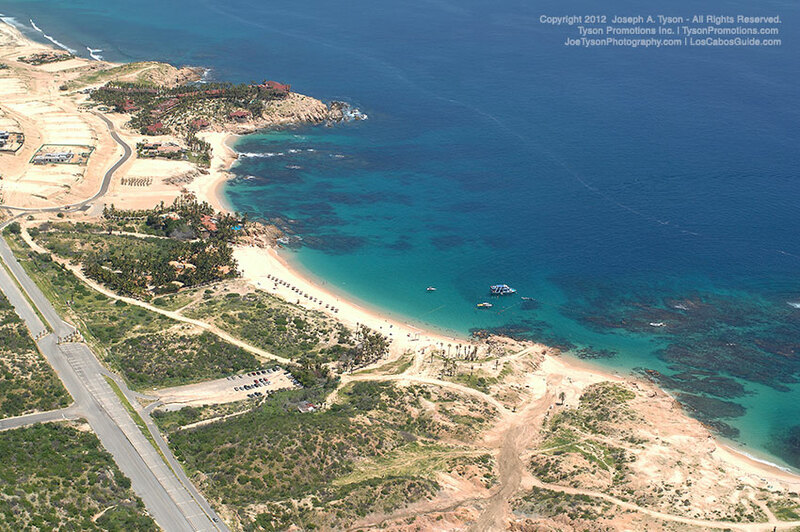 www.loscabosguide.com/real-estate-los-cabos/developments/san-jose-del-cabo/ Photo on the right shows Puerto Los Cabos, San Jose del Cabo. Tourist Corridor Real Estate Developments and Projects in Los Cabos.